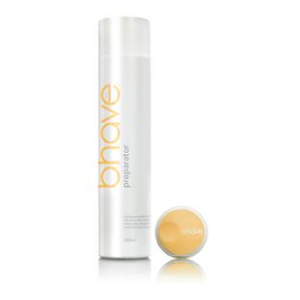 If you are time poor but lust after smooth, luscious-looking locks that are low on maintenance but high on manageability, bhave™ smoothe PLUS has the solution for streamlining your beauty routine as well as your look. Enriched with keratin, argan oil, collagen and silk amino acids, curls will be softened, waves will be smoothed and hair will be easier to manage for up to five months with no frizz, no fuss and no formaldehyde. To noticeably improve hair health and provide long term conditioning protection and lustrous shine, always insist on a true keratin treatment and not a chemical straightening product to which keratin has been added. True keratin treatments are less harsh on your hair. Gently opens the hair cuticles and removes excess product and build up in the hair. Cleanses and prepares hair for the smoothe PLUS keratin therapy. This shampoo is the first step in preparing the hair prior to performing the smoothe PLUS keratin smoothing process. A versatile and customizable smoothing therapy suitable for all hair types. Whether you lust after less frizz, want to maintain body, bounce and waves or if your desire is to change your look entirely with a straighter result. A professional in-salon hair smoothing therapy that will last up to five months without causing damage to the hair. Protects against harmful elements i.e. sun, daily styling and ironing, chemical treatments etc. bhave™ smoothe keratin therapy is not a permanent chemical straightener, it does not break down or rebuild the bonds of your hair. All hair types differ, therefore some may be able to wash-‘n-go where others may have to add heat to achieve a straighter result. Q What is Replicine™ Functional Keratin®? A Yes you can. However, we do advise for best results to have your hair coloured after 2 normal washes. If you do colour your hair before the treatment, the colour may lift to varying degrees, requiring colour to be re-applied. A All hair types differ. The treatment is designed to make the hair easier and quicker to manage. Some people may be able to ‘wash & go’ whereas others will have to add some heat to their hair in order to get a straighter result.